Do you want to connect with a vice president of risk management or similar c-level and senior executives to sell your product or service? This human-verified risk management VP email database is full of quality contacts hoping to avoid catastrophes and financial loses. Buy email leads in the world of risk management now. Find the VP of risk and control who would be most interested in your product or service, whether that's an outsourced underwriting service, bit of claims management software, or some other project management tool. A VP or chief of risk management will likely have sway in numerous departments: legal, licensing, compliance, accounting, and others. 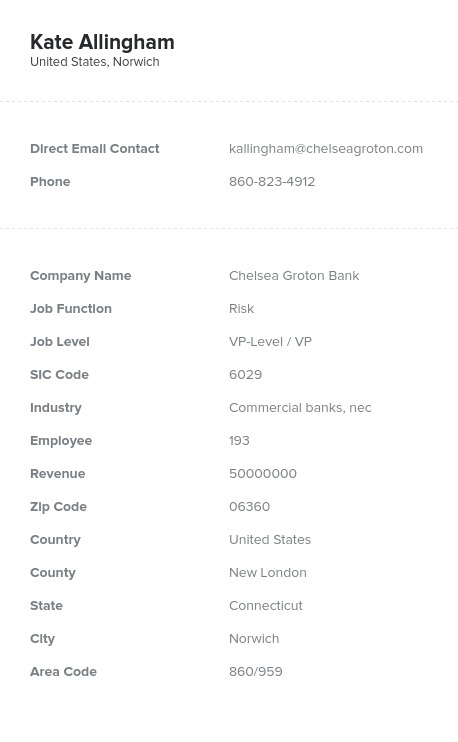 If you have a product that can help them or know of a potential risk to their company or organization, let this group of high-level corporate leaders know with Bookyourdata.com's vice presidents of risk mailing list. Risk management VPs often report to C-level management but are autonomous enough to make many business decisions themselves. Connect with VPs of risk management within a few minutes of downloading this list of strong sales leads!